In an age of information and new media the relationships between remembering and forgetting have changed. This volume addresses the tension between loud and often spectacular histories and those forgotten pasts we strain to hear. Employing social and cultural analysis, the essays within examine mnemonic technologies both new and old, and cover subjects as diverse as U.S. internment camps for Japanese Americans in WWII, the Canadian Indian Residential School system, Israeli memorial videos, and the desaparecidos in Argentina. 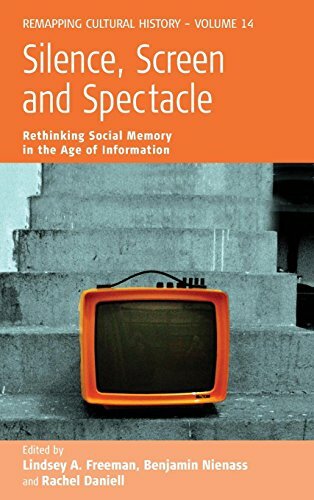 Through these cases, the contributors argue for a re-interpretation of Guy Debordâs notion of the spectacle as a conceptual apparatus through which to examine the contemporary landscape of social memory, arguing that the concept of spectacle might be developed in an age seen as dissatisfied with the present, nervous about the future, and obsessed with the past. Perhaps now âspectacleâ can be thought of not as a tool of distraction employed solely by hegemonic powers, but instead as a device used to answer Walter Benjaminâs plea to âexplode the continuum of historyâ and bring our attention to now-time. About: In an age of information and new media the relationships between remembering and forgetting have changed.